l to r: Winners Larry Schneider, Danny Bumpus, Christopher Jones and Stephen Boruff. More than $135,000 was raised for the Palm Beach State College’s STEAM initiative during the College Foundation’s annual Golf Classic held last Friday. This brings the total raised at the golf tournaments over the last 12 years to more than $1.7 million. The funds will go toward STEAM (Science, Technology, Engineering, Arts and Math) student scholarships and program enhancements to impact the projected shortage of local, skilled professionals in these fields. To date, the tournaments have funded 1,000 scholarships. Thirty-four golf foursomes played in the tournament at the Wanderers Country Club in Wellington. 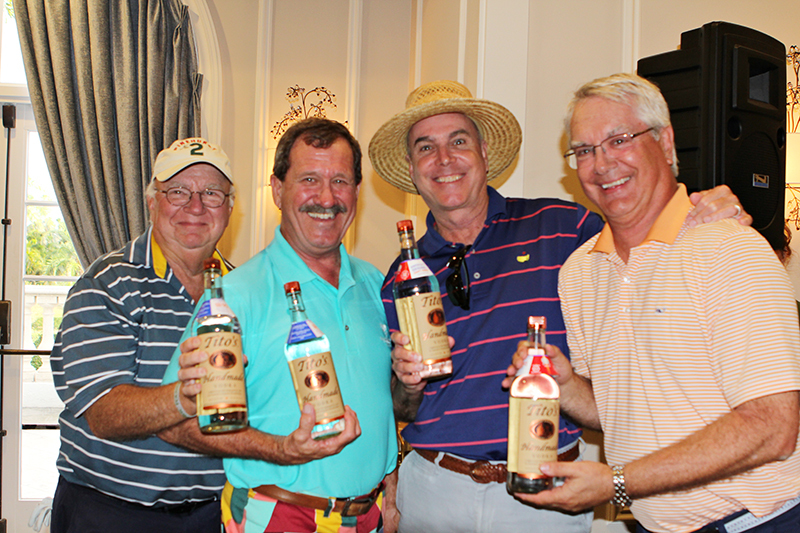 The team of Larry Schneider, Christopher Jones, Danny Bumpus and Stephen Boruff took first place with a score of 57. The classic included hole-in-one competitions sponsored by Al Packer Ford, a glass breaking contest sponsored by Sasser’s Glass Works, Inc., a ball launcher contest sponsored by Zyscovich Architects and a trivia contest sponsored by HCI Cabinetry Division, Inc. The tournament ended with an awards ceremony and cocktail reception, where raffle and online auction prizes were distributed. 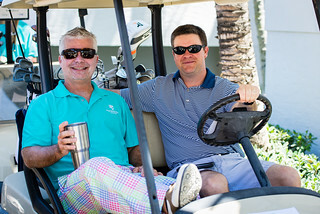 Major sponsors of the Golf Classic were: Fastrack MCI, Palm Beach Gardens Medical Center, Pro Sound & Video, Crestron, Cape Design Engineering Co., Coca Cola Beverages, Dell EMC, TGI Office Automation, LLC, Red Hawk Fire & Security and McDonald’s North County Group. Who won the raffle? I bought a ticket online so I did not attend the event. Did you have to be present to win? You did not have to be present to win. The Foundation has notified those who won and who were not present already. If you would like to find out the names, please call the Foundation Office at 561-868-3450.